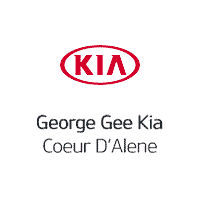 Welcome to George Gee Cadillac Kia. Our team strives to make your next vehicle purchase hassle free. This 2010 Kia Soul has some great features including a sunroof, light up speakers, hands free calling, sport pedals, black and red interior, and much more! Thanks for checking out our vehicle online. Please come and visit us at 317 West Dalton Ave, Coeur d'Alene, ID or give us a call at (208)667-7416. - Free Lifetime Warranty is valid only on New and Used Vehicles with less than 100,000 miles and 5 Years Old or Newer. Valid exclusively at George Gee Cadillac Gee Coeur d'Alene See dealer for full details and exclusions.